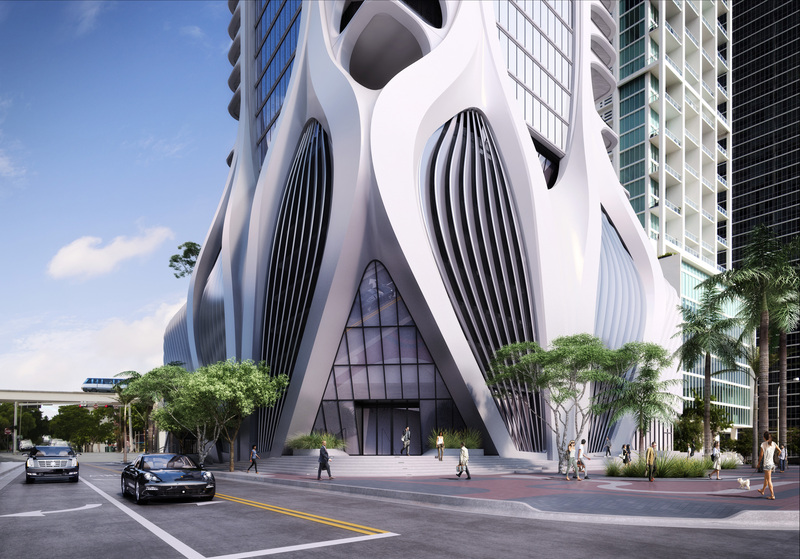 The bright and eclectic landscape of downtown Miami is changing – thanks to the addition of a bold and innovative residential tower from world-renowned architect Zaha Hadid. The first of her architectural celebrations in the Western Hemisphere, One Thousand Museum by Zaha Hadid Architects will be a cutting-edge, contemporary, luxury residential tower that will rise more than 62 storeys high to encompass a total of 83 residences in 30,000 square feet. Hadid’s signature curves are evident in the design, which uses fluidity throughout to combine the building’s exoskeleton with a recessed glass façade. The result is an ambitious and striking landmark tower that will rightfully earn its place on Miami’s rich architectural scene. It is also one that has put the requisite pilings work to the test. The complex design of One Thousand Museum is one that calls for an extra deep foundation to provide the necessary structural support for the towering structure that will rise above ground. Venger describes Hadid’s designs as using a “geometric curvature” to create buildings that “flow” from a structural standpoint. 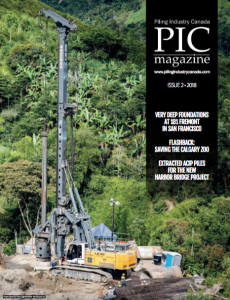 According to Frank Fonseca, president, HJ Foundation, a Keller Company, the company’s “mega piles” (as he refers to them) are the result of 10 years of development in perfecting the craft. 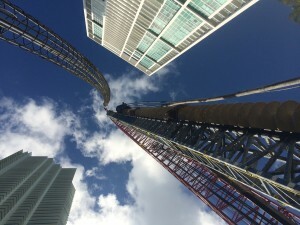 It’s one that carries over the efficiencies earned on smaller buildings to taller ones – one that Fonseca describes as having occurred over the course of several years. HJ Foundations designs its own proprietary equipment and is able to meet the needs of different developers as a result. The company is capable of installing piles as large as 42 inches in diameter and as deep as 170 feet, with load capacities as great as 1,800 tonnes per pile. In the case of One Thousand Museum, HJ Foundations used 30-inch diametre augercast piles and went as deep as 160 feet on most of them. There were, however, a few exceptions to the rule. “We broke the world record by going 177 feet deep on this job with a few of the piles,” says Fonseca. The soil conditions were typical of south Miami and posed no significant challenges for the experienced crew. According to Fonseca, the work below the ground at One Thousand Museum went relatively smoothly. Another significant element of One Thousand Museum was the foundation pour required for the project. Given all the activity that the foundation pour entailed, it surprisingly went well. Construction work on the tower proper will begin in early 2016, with a completion date for One Thousand Museum expected in late 2017. When finished, One Thousand Museum will undoubtedly become a landmark building – one that will transform the ambitious creative vision of Zaha Hadid into the stunning reality of luxury living – thanks to the expertise and experience of an industry ready and willing to rise to the challenge.